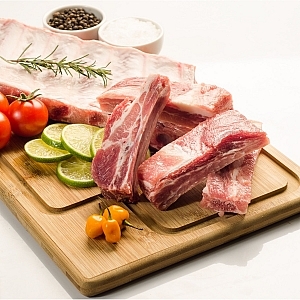 FREE RANGE PORK SPARE RIBS 400gr from Camerons Quality Butchers. pork spare ribs are fantastic on the BBQ, or in the oven. sold plain so you can add your own marinade. approx 2 ribs.